Where Nomadic lifestyles meets desert plains. Ditch the tourist traps and uncover the mystique of Mongolia on this spellbinding 12 day tour, traversing through red soiled deserts, breathtaking wildlife, nomadic cultures and ancient landmarks steeped in rich history. Ger is Mongolian for ‘home’. Owned and run by locals, staying in a Ger is a brilliant way of immersing yourself in the nomadic life of the locals. A circular tent constructed from wooden frames and layers of felt complete with floor rugs and a stove, a ‘yurt’ camping experience is a once-in-a-lifetime must! Staying in a Ger drives local economy and is a great way for homeowners to share their culture with tourists, which they wouldn’t have been able to do otherwise due to remote locations. Journey through nomadic heartlands and travel down roads less travelled with this incredible 12 day tour through Mongolia, gaining insight into other worldly plains, landscapes and wildlife. Live life as a Nomad with stays in Ger encampments and grab a feel for local Mongolian life. Take a step back in time with a visit to the red rock Bayanzag (The Flaming Cliffs), one of the world’s most historic paleontological sites. If you’re lucky you might even dig up ancient dinosaur bones and eggs! 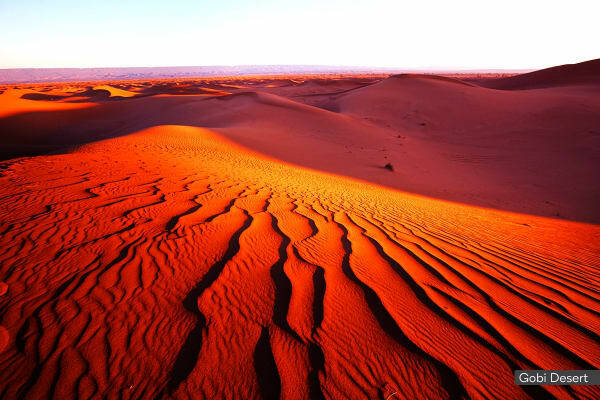 Wade through magnificent sand dunes on a camel ride as you enjoy the sublime vistas of Asia’s largest desert, the Gobi Desert. Play eye-spy with wildlife in Yoliin Am Gorge with the opportunity to spot the gigantic curled horns of the endangered mountain sheep species that roam through the national park. Journey to the incredible Bogd Khan Palace and discover the extraordinary treasures contained within its depths, including Buddhist artworks, sculptures, thangkas and more. Pack your bags for a unique adventure to lands less travelled in Mongolia as you board your international flight for Beijing. 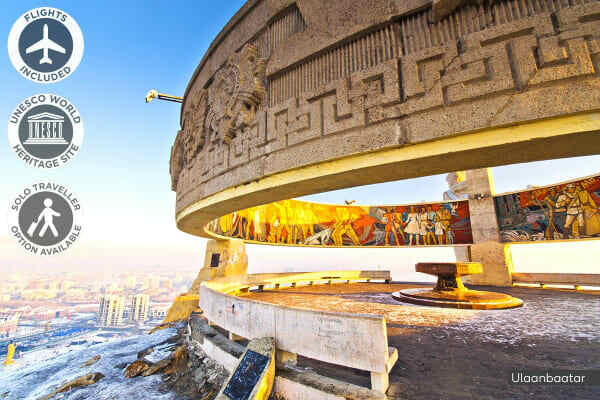 Arrive in Beijing early in the morning to catch your connecting flight to Ulaanbaatar, the capital of Mongolia. 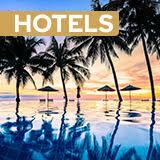 Upon arrival, you’ll be met by a tour representative at the airport and transferred to your hotel for check-in. Spend the rest of the day unwinding, recharging or exploring at your leisure. Travel to Terelj National Park this morning, a serene national park abundant with magnificent alpine landscapes, granite rock formations and a tranquil river. Upon arrival, visit the Meditation Temple and the gigantesque Big Turtle Rock, carved into the shape of a turtle by rain and water over the course of thousands of years. Then, enjoy lunch at a nearby Ger camp, before returning to Ulaanbaatar for dinner in a local restaurant. Take an early morning flight to south Gobi. Upon arrival, head for the Gobi Desert, travelling onto the red rock Bayanzag (The Flaming Cliffs), a famous site for dinosaur excavations. Explore the sight at your leisure after lunch, walking through the rich saxual forest. If you’re lucky, you may even find real dinosaur bones and eggs! Head for the Moltsog sand dunes after breakfast, stopping off at a nomadic camel breeding family at their Ger camp where you’ll explore the expansive desert dunes with a 1 hour camel ride before driving back to camp in the early evening. Drive to Gobi Gurvan Saikhan National Park, known as Yoliin Am Gorge, nestled away in the Zuun Saikhan Mountains. Upon arrival, hike for two hours into the valley, playing eye-spy with chipmunks, birds species and stunning flora and fauna along the way before enjoying a picnic for lunch. Transfer back to the Ger camp in South Gobi in the early evening. Take a morning flight to Ulaanbaatar and transfer to the serene Gun-Galuut Nature Reserve, home to many endangered species. Stop off at the Giant Genghis Statue en-route, the tallest equestrian statue in the world and one of the most iconic landmarks of Mongolia. Enjoy an hour of horse riding around the nature reserve. Drive to Mt. Baits to see the Argali mountain sheep, an endangered species of wild sheep known for its massive curved horns. You’ll also get the chance to see the White Naped Crane, Whooper Swan and countless other bird species. Afterwards, meet a local nomadic family to gain insight into local life and livestock tending. Kayaking (USD $20 per hour). 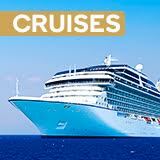 Fishing – including rods and equipment (USD $5 per hour). 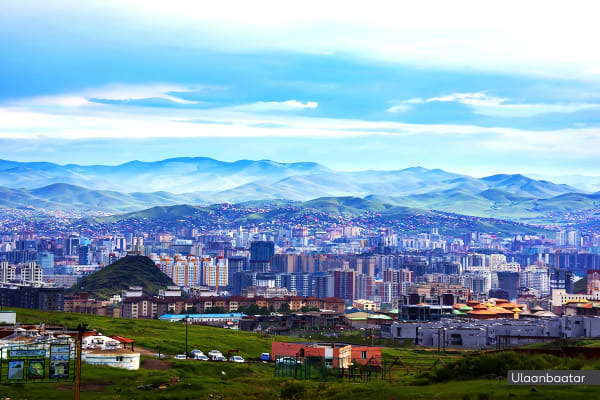 Head back to Ulaanbaatar this morning and check-in to your hotel before taking a tour around the key landmarks of the city. Visit the Genghis Khan monument and the National Museum, displaying a fascinating collection of traditional Mongolian clothing and weaponry, while learning about the narrative of the Genghis Khan empire. Continue your tour of the city landmarks today starting with the Bogd Khan’s Palace Museum, the residence of the last King of Mongolia. Afterwards, head for the Gandan Monastery, housing a 26m high gilded statue of the Buddha. Savour an authentic Mongolian lunch at a local restaurant before perhaps doing some cashmere shopping. Enjoy a traditional folklore concert by the Tumen Ekh ensemble in the evening. Soak up some last minute sights, tastes and shopping before transferring to the airport for your connecting flight to Beijing as you head back to Australia today.